Our young and dynamic Chairman & CEO, has over twenty years of experience in International Hospitality Management Education in India and abroad. Mr. Rohit Bhatia is the founding member of RIG Institution and has work experience encompasses setting up of various Hospitality Management Institutions internationally. 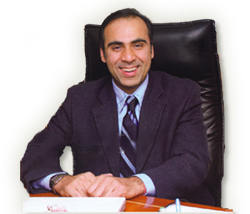 Mr. Bhatia is very passionate about providing and promoting hospitality education. His special focus areas of his efforts are extended to disciplines of hospitality education which he has spear headed as the growth of RIG group of institutions with a vision to develop and provide standard educational institutions with quality education in an excellent academic environment. Our core values At RIG, these Core Values define who we are and form our culture.